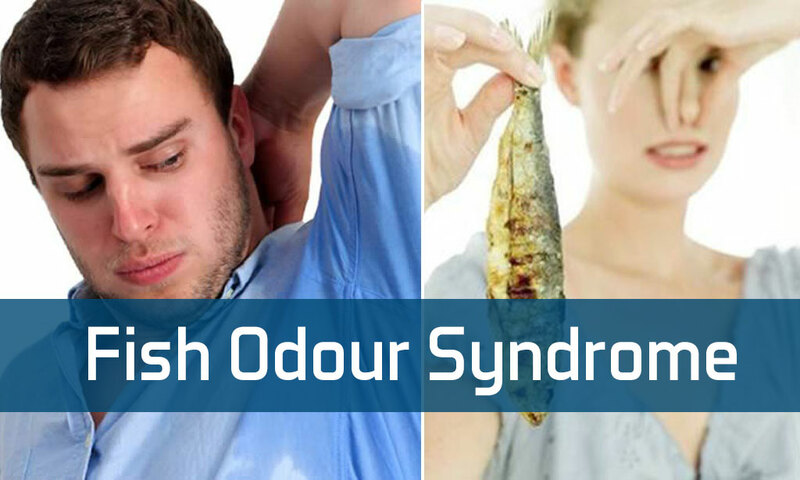 Trimethylaminuria or commonly known as Fish Syndrome is a metabolic disorder which is inherited and it creates a nasty, offensive body odor which resembles a rotting fish. This happens when a protein called trimethylamine (TMA) in our urine, sweat and breath gets excreted in excess. It is also known as fish malodor syndrome. This happens due to the lack and defect of a protein called flavin-containing monooxygenase 3 (FMO3). It can be taken through diet. It gets broken down with N-oxygenation. When FMO3 gets abnormal it makes it unable to break down TMA.When there is a problem in its functioning TMA builds up in the excretory glands. In general no cure for fish syndrome has been reported because options for its treatment are less. But with a good diet and lifestyle, people with this disorder might start living and feel normal, healthy life. Actually, treatment is all about management of symptoms. The Person might experience mild to severe symptom relief. It is best to go for treatment. It is always advised that patients should follow the therapy prescribed to them. Patients should never self-medicate. There are many ayurvedic methods to treat the fish syndrome. Choline is vital for the development and growth of fetuses and infants. The nasty odor gets less with food items low in trimethylamine. When we minimize foods like meats, fish, eggs, legumes ,and foods which contain choline, nitrogen, and sulfur reduces body odor. Patients must avoid lecithin and lecithin- containing fish oil supplements which have very high levels of choline. Milk contains TMA and so must be avoided. Freshwater with fish has Trimethylamine N-oxide than saltwater fishes and is good for patients with this syndrome.Patients must discuss with their healthcare providers and nutritionists for a safe and healthy diet. Stress- related disorder which gets associated with the Fish syndrome can be treated with a behavior counselor. Genetic counseling with a counselor assists patients to understand their condition better. These medications reduces and stops bacterial growth in our stomach and intestines. Amoxicillin, Neomycin and, metronidazole can be used to suppress TMA production with bacteria. By consuming soaps and personal products with the PH between 5.5 and 6.5 helps to reduce body odor. It helps to hold secreted TMA in salt form, which has less odor and can be removed with washing. Also, daily consumption of charcoal or copper chlorophyll might minimize the nasty odor. The effect of this therapy might differ. Activated charcoal and / or copper chlorophyllin is taken orally helps to subdue odor-creating activity of bacteria in the gut.With laxatives,the odor can be decreased but they should be used carefully and not be taken regularly for long intervals. 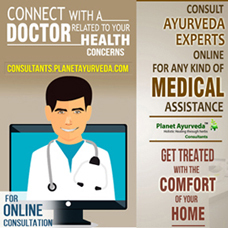 Ayurvedic treatment is a best way to cure Fish Syndrome. Planet Ayurveda offers various herbal remedies for Trimethylaminuria that provides effective results on symptoms associated with this disease. Manjishtha (Rubiacordifolia) is a herb used in Ayurvedic practice for detoxification. Its extract is extensively used for many skin diseases. It is considered as an anti-toxin as well as the anti-poisonous herb. It is considered as a pitta calming herb so it is used in the diseases of tissues where Pitta is involved such as skin wounds, diseases etc. Dosage :- 1-2 capsules twice daily. 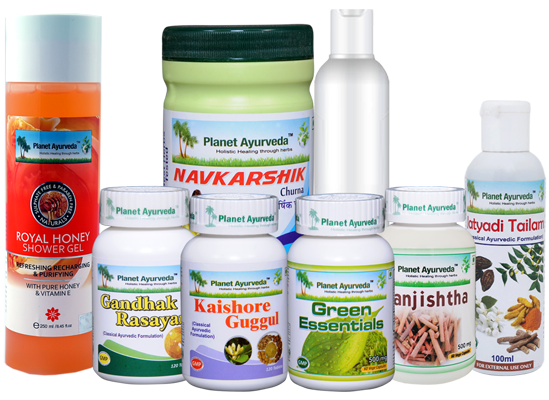 Green Essentials Capsules are among the unique products manufactured by Planet Ayurveda. These capsules nourish the cells and fight against various ailments. These capsules are known to clear heavy metals so these capsules are quite effective for the patients suffering from fish odor syndrome. Navkarshik Churna is an age- old Ayurvedic medicine. The herbs present in this churna act together in a synergistic manner and help in purifying the blood and also corrects the metabolism of the body. It acts as an anti-inflammatory and anti-bacterial. Gandhak Rasayan is an Ayurvedic medicine used in the treatment of skin diseases, provides nourishment, improves digestion strength and mostly indicated in the diseases arising due to depleted body tissues, itching, skin diseases and other toxic conditions. Dosage :- 2 tablets twice daily. Kaishore Guggul is a very famous Ayurvedic medicine that acts as a natural blood cleanser, aging skin health promoter and is widely used in various skin diseases. It contains natural blood purifying herbs such as Triphala and Giloy. Triphala is considered to be a very effective remedy for detoxing because it removes toxins within the blood and best for all metabolic disorders. For external application, mix neem oil with Jatyadi oil and apply on the affected skin. Jatayadi oil is an Ayurvedic medicine used for the external application as it heals the wounds quickly. It is applied over the infected skin diseases. Jatyadi oil balances Pitta and kapha Dosha. Neem oil has immense benefits. Neem oil helps in cleansing and healing the wounds quickly. It is useful in numerous skin diseases. Use Royal Honey Shower Gel for bathing as it contains natural ingredients that are anti-bacterial and antiseptic in nature that helps in relieving the bad odor. Avoid non-vegetarian foods such as seafood, eggs. Avoid strenuous exercise. Try only gentle exercises that don’t make you sweat as much. Take time to relax as stress can make the symptoms worse. Tags: ayurveda, Ayurvedic Treatment of Trimethylaminuria, causes, Diagnosis, fish odour syndrome, herbal remedies, Herbal Remedies for Trimethylaminuria, Natural Treatment, symptoms, Treatment, Treatment of Trimethylaminuria, trimethylaminuria.